Is someone you don’t know annoying you on WhatsApp? Do you want to know how to block them so they can’t contact you again? 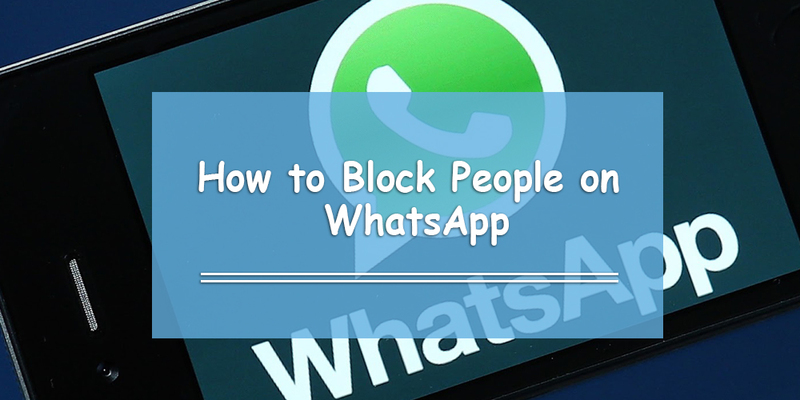 We will show you how to block people on WhatsApp step by step. 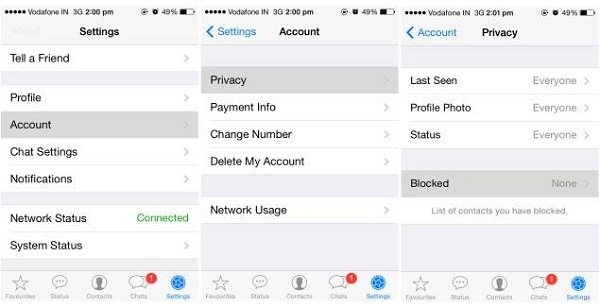 In order to block unwanted calls and SMS messages on WhatsApp, the simplest way is to block the WhatsApp contact inside the application. This is different for both Android and iPhone users, so we will show you WhatsApp screenshots for both iPhones and Androids. Step 1: Go to Setting on the bottom-right corner of the screen. Step 2: Tap on the ‘Account’ tab. Step 4: Click on ‘Blocked;’ this will show a list of all of the contacts you blocked. Step 5: Press ‘Add New’. Step 6: Type in the number you want to block. If you ever want to unblock a phone number, just repeat steps 1-4. This time, instead of pressing ‘Add New,’ hit ‘Edit’ in the top-right corner and then press the little red minus sign next to the number you want to unblock. Step 1: Go to the contact you want to block. Step 2: Click the three-dotted icon in the top-right corner (the one that looks like a traffic light). 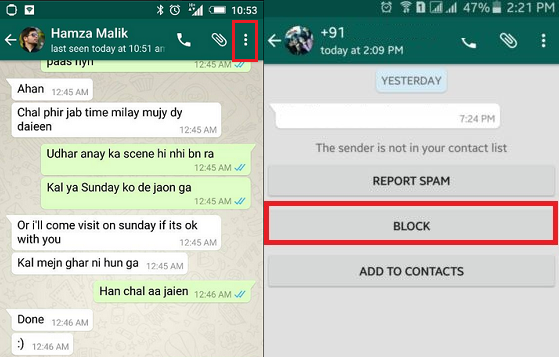 Step 3: Press the ‘Block’ option; you can report them spam if you believe the WhatsApp user is sending unwanted messages to everyone. Step 1: Click the menu button on the bottom-left corner. Step 2: Go to Settings > Account > Privacy > Blocked Contacts. Step 3: Press the contact you want to unblock; hold your finger on the contact until a pop-up screen appears. Can You Find Out If Someone Blocks You on WhatsApp? Yes, you can. There are many ways to find out. 1. The ‘Last Seen’ function will not appear on the screen. 2. The profile picture will not appear. 3. If you send a message to someone, it will only receive one checkmark. This means that you sent the message but it hasn’t been delivered to the WhatsApp user yet. 4. You will not be able to call your contact. Feel free to email Online Sense at info@onlinesense.org for any clarifications. We will walk you through it step by step if you need any additional help.